No fees are associated with this event. Please RSVP for this event by registering. Come eat lunch and talk to other Chamber members that will gather to support this great cause. 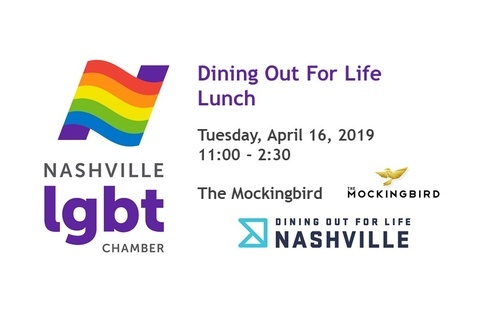 Dining Out For Life is a national event that helps fight HIV/AIDS in our community through the good work being done by Nashville CARES. 100% of all the money raised during this event will go to provide Preventive Education Services, as well as other services - all FREE - to people living with and affected by HIV/AIDS. 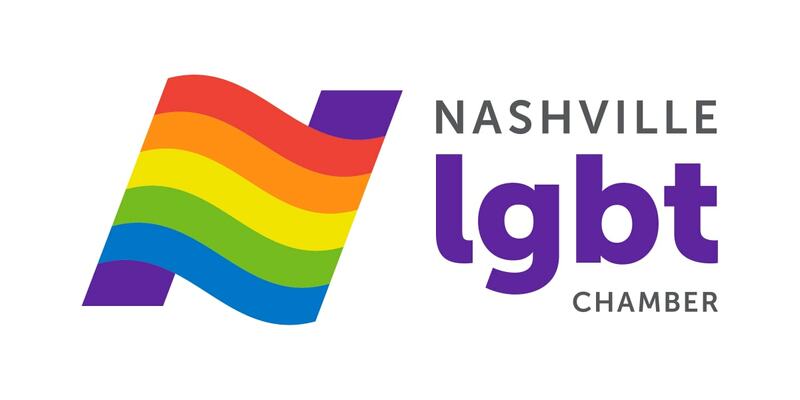 Nashville CARES goal is to raise $120,000 to support their work. Last year Nashville CARES served more than 50,000 Middle Tennesseans living with or at risk of HIV/AIDS. Visit https://www.diningoutforlife.com/city/nashville/ to see a list of participating restaurants if you are interested in supporting another restaurant for dinner. 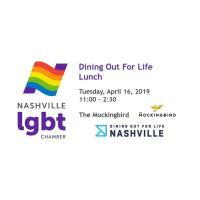 Please RSVP to this event by registering and join us for lunch on Tuesday, April 16th!